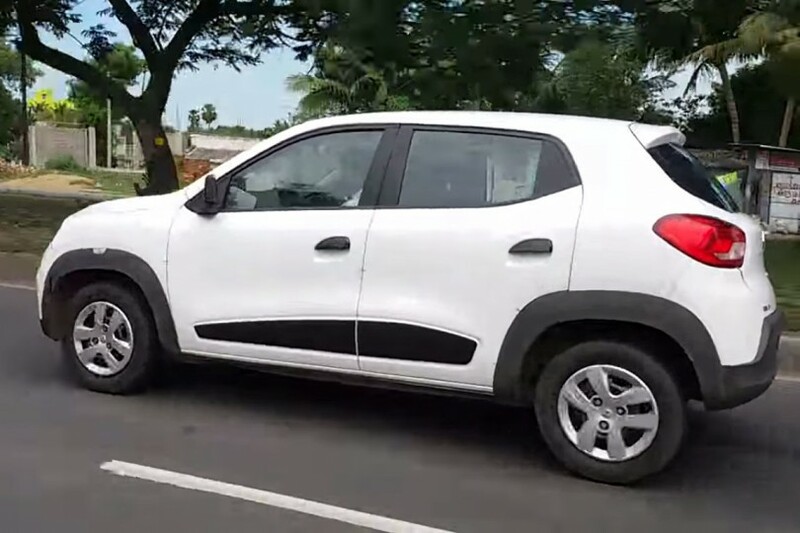 The much awaited Renault Kwid A-segment micro crossover has been caught on camera by RushLane while testing on highway without any camouflage. Renault Kwid, despite being a budget product has taken the likes of Maruti Alto and Hyundai Eon, Renault Kwid also manages to score high on road presence, all thanks to its crossover like styling. Kwid can be considered as baby Duster. The tall nature of the car and high belt lines are sure to go well with SUV-loving customers in India. Kwid is expected to be priced around 3 lakhs to 4 lakhs (ex-showroom), Renault Kwid was first developed in India at Renault Nissan Technology Business Center India (RNTBCI) which is located near Chennai and has a localisation of 97 percent. This makes Renault Kwid the most heavily localized car in India. Kwid is the first product to be based on the company’s CMF-A architecture which shall also underpin Datsun redi-Go. Powering by micro crossover, Kwid from Renault has a 3 cylinder 800cc petrol engine which was also developed in India. Kwid’s engine would be mated to a 5-speed manual transmission gearbox. The power and torque outputs shall be revealed closer to the launch. Some reports speculate Kwid’s a more powerful 1.0-litre petrol engine with an AMT ( Automatic Manual Transmission) is under work for launch at a later stage. The AMT variant of Renault Kwid would directly compete with Maruti Alto K10.